, designed to help startups build and scale. Today we hear from Mark Johnson, CEO of Descartes Labs, a deep-learning satellite image analysis company that reveals insights about the Earth’s resources. Learn how Descartes Labs can make quick and accurate predictions about U.S. agriculture yield, spin up more than 30,000 processor cores and sustain 23 gigabytes per second for 16 hours using Google Cloud Platform. For the past four decades, NASA satellites have been capturing images of our planet from space. However, until recently, that archive of images was not easily accessible because of the limitations of desktop computers. Descartes Labs analyzes all of the images from NASA and other satellites to gain invaluable insights about human populations and natural resources, such as the growth and health of crops, the growth of cities, the spread of forest fires and the state of available drinking water across the globe. Our first product tracks corn (maize) crops across the world; based on an 11-year historical backtest, we’re now predicting the U.S. corn yield faster and more accurately than the United States Department of Agriculture. If we had to set up our own data center and physical infrastructure, we could not have started this company. The storage and bandwidth alone, to be able to download over a petabyte (8x1015 bits) of satellite images from NASA’s servers, would have been prohibitive. 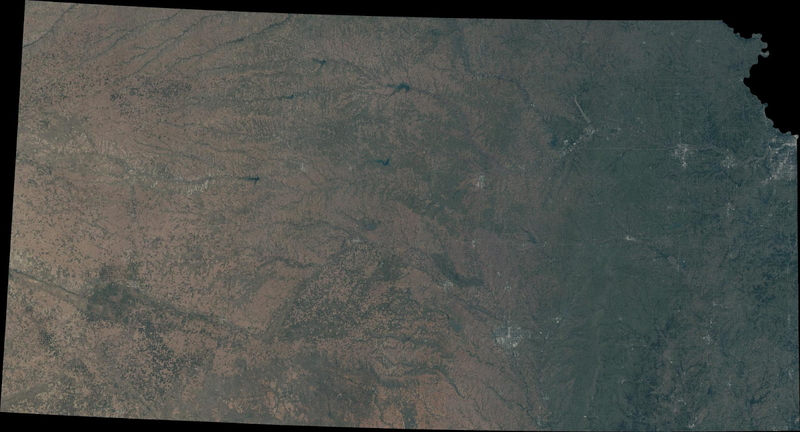 Fortunately, Google hosts a repository for all the public Landsat imagery in its Google Earth Engine project. We were granted full access to that data and set up high-bandwidth links between its Google Compute Engine applications running in containers and the satellite data. Otherwise, we would have spent all our time moving data. With Google Cloud Platform, we benefitted by having a virtual supercomputer on demand, without having to deal with all the usual space, power, cooling and networking issues. Just a few years ago, we would have needed to use the largest supercomputers on the planet to do what we’re now able to do with Google. In a recent analysis run, we spun up more than 30,000 processor cores — something unimaginable a few years ago — and sustained throughput of 23 gigabytes per second for 16 hours. That’s an incredible feat considering that, within seconds after our big run was over, those computational resources were released and made available to other customers for their own needs. When we learned about the Google Cloud Platform for Startups program from an analyst report, we immediately applied through Crosslink Capital, our primary venture funder. We already relied on Compute Engine and Google Cloud Storage. The startup program provided us a great opportunity to evaluate Cloud Platform services such as Google Container Engine, Google Container Registry, Google BigQuery and Google Cloud Monitoring, all of which we now use with our customers. We wouldn’t have been able to do our petabyte run if we didn’t have the one-year credit from the startups program. Google was very generous to give us a sandbox to play in before we started paying. From a cost perspective, Cloud Platform is very competitive with other cloud solutions — and it has the capacity to scale. What’s more, Google is innovative in areas like containers, which makes it easy to move workloads to the Google stack. For startups evaluating cloud solutions, make sure the solution you choose gives you the freedom to experiment; lets your team focus on product development, not IT management; and aligns with your company’s budget. Most importantly for a small startup like us with dreams to change the world is the partnership we’ve formed with the GCP technical team. Google truly went out of its way to help us get up and running and maximize the value of the platform. We look forward to working with the Google team to push the limits of cloud computing. Our startup series shines the spotlight on some of the most innovative and game-changing companies using the Google Cloud Platform for Startups program, designed to help startups build and scale. Today we hear from Mark Johnson, CEO of Descartes Labs, a deep-learning satellite image analysis company that reveals insights about the Earth’s resources. Learn how Descartes Labs can make quick and accurate predictions about U.S. agriculture yield, spin up more than 30,000 processor cores and sustain 23 gigabytes per second for 16 hours using Google Cloud Platform.